In this project, an efficient and accurate stereo vision algorithm was embedded in a DJI Matrice 100 drone for road inspection. We mounted a ZED stereo camera on the drone to capture stereo road images, which were processed using an NVIDIA Jetson TX2 GPU. 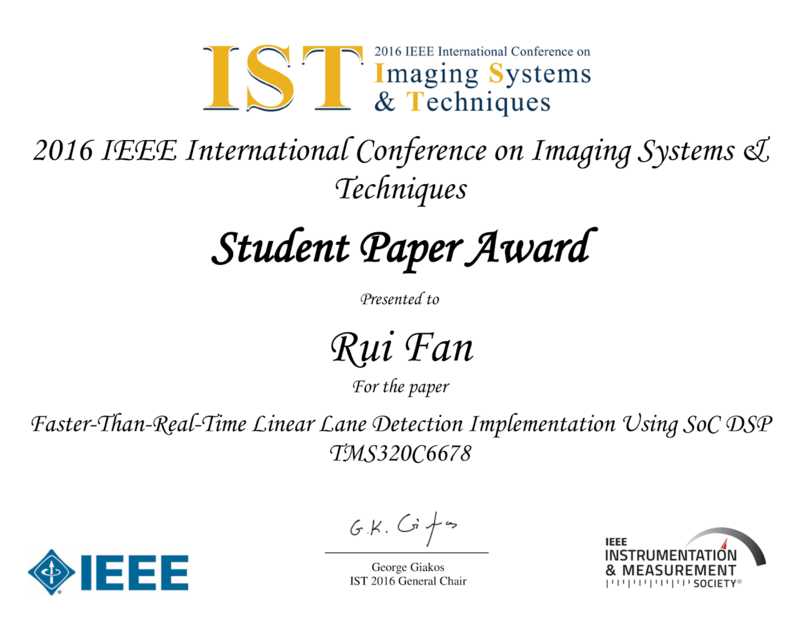 Fan R., Jiao J., Pan J., Huang H., Shen S., Liu M., "Real-Time Dense Stereo Embedded in A UAV for Road Inspection." 2019 IEEE Conference on Computer Vision and Pattern Recognition Workshops (CVPRW).